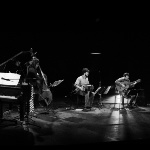 Quinteto Bataraz play Argentine folk music within a classic tango formation of bandoneon, violin, double bass, guitar and piano. It’s an original concept and its quality was underlined when they won in two categories at the Gardel Awards 2015 in Buenos Aires: Best Folklore Album and Best New Folklore Artist. 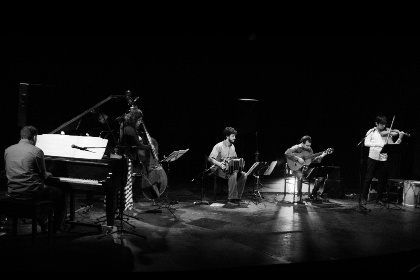 The ensemble was formed in 2013 by pianist, composer and arranger, Lisandro Baum, with the aim of producing an album to, as he says, “fill a space on my CD shelves”, after realising that the great rural folk singers he was listening to were all soloists and all quintets were urban tango-based. Why was there not a quintet playing folk music? Now there is and the album is filling spaces on many CD shelves, providing an inspired missing link between tango and folklore.